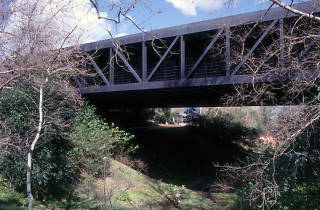 Photograph: Courtesy Art Center College of Design Art Center College of Design, Hillside Campus. 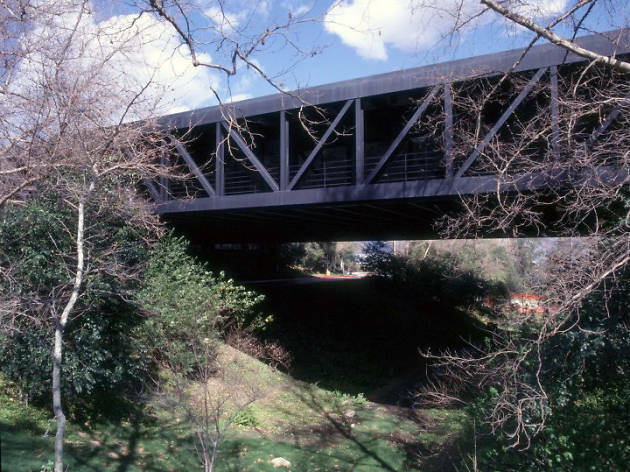 You won’t find any roads atop the “bridge building” at the Hillside Campus, but you will find one underneath it; the school’s driveway winds underneath the ravine-spanning steel-and-glass structure. Its hillside location, stealthy profile and modernist aesthetic makes the building a top candidate for a supervillain lair, but that’s kind of a spectacular quality to possess, isn’t it?